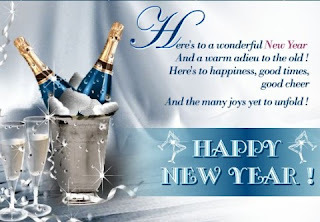 A very happy new year to everybody. May this year be full of joy, happiness and warmth, and success. May all the painful past of the previous year be forgotten, and a peaceful future be looked forward to. Every year, I feel strangely overwhelmed on these early days. Only, this year the feeling seems much more intense and sharp. It is just that time, which flies anyway, seems to have traveled in the speed of lightning… Days seemed to have been only about fifteen hours long last year. There has been so much to do, yet I have spent so much time brooding. I have tried to patch up all incomplete works of the year in the last few days, but have obviously been badly defeated. When I look back now, scanning the days right from the early wintry days of January last year, which was not all so different from what it is right now, to the last few days of December, I realize that so much has happened during the year. So many things have changed my life from what it had been two years back, though many of the events have been pretty inconspicuous. From last year, I have started travelling alone by bus to school, and to other short distances. I can understand how much having to let me go must have worried and pained my father, so I am grateful that he did. I rejoined karate classes, and have been enjoying them much more than I did the previous time. The centre is very close to my house, the teacher is nice, and added to that my having earned the orange belt and frequent praises; the experience could have been no better. I have almost completed an entire year in school without too many complaints from my teachers and classmates. Some of my closer friends have been a bit bothered about my having become quieter, but nothing can be done about that. People do change. I have also had some very new and wonderfully exciting experiences. Some have been intensely personal, and could hardly have been any better than they already have been. The others have been less reserved. The best of those experiences have undoubtedly been the starting of this blog and my joining my father’s classes. Other than that, I have had the very sweet experience of keeping a dog at home, and the very heart-breaking experience of having to part with it as well. I have experimented with quite a few things. Some have turned out to be utter fiascos, but others have come off well enough. Others still I have tried and failed, but have decided to try and try and try again until I do succeed, one such thing being trying to talk in a single language fluently and continuously without lapsing into another. Another is improving my hand-writing, and another is reading more Bengali books and forming a strong base in my mother tongue and its age old culture and heritage. All in all, 2010 has been a fulfilling and eventful year. It has been a year that I have been able to spend without having to feel ashamed about too many things. When I look back, I have a happy, proud feeling. And the best I can really hope for in this new year is that when, another year later, I write a similar post again, I may be able to feel even prouder and happier with myself for my activities all this year round. I'm happy to know you had a fulfilling and eventful year and a wide mix of experiences - good, bad, beautiful, and engaging ones. My hearty congratulations on the Orange Belt! It is quite an accomplishment to have gotten an unlikely person interested in reading. I know you read plenty of books this year but I still think you should have mentioned that you read The Lord of the Rings trilogy. (I've been glowing with pride on your behalf - if that's possible). I like the sound of your to-do list. You address some of the most important things: speaking, reading, and writing. Your essay itself - much like time - seems to fly (like the wind). Yet you sound restrained, good-humoured, and content. You are growing up in leaps and bounds. As for the silver and blue picture accompanying your post: I couldn't help but dream that in a couple of years from now, maybe we'll celebrate your birthday and the New Year's together with some champagne...and yes, we'll get two bottles. It is a good dream. Take care. Thank you for your wishes. Wishing you too a lovely and peaceful and joyous year ahead. You have done a good job of making the last year sound busy, interesting as well as rewarding, Pupu. And keep up this habit of writing your diary, whether on the Net or privately, regardless of how many good readers you get. You will greatly enjoy looking back on your entries many years later. I for myself am already curious about what you might write a year down the line! First, my very best wishes to you. I wish you all happiness this year. It was nice to read your review of the New Year. For me, 2010 was very eventful. More eventful than any year ever. As 2011 started, I thought of doing two things which I hardly ever did in last 15 years or so. I started bringing lunch to workplace and I started having a heavy breakfast consisting of cereals. Well, it may sound small but trust me someday, I will write in my blog why these are such big initiatives for me. I wish you continue to write your blogs. I do read your blog regularly but all of sudden I got very preoccupied at home so could not write comments. Apologies for that. Having said that, number of readers etc should not deter yourself from writing such wonderful pieces which undoubtedly bring smile to me and are thought provoking. In fact, over little time on your blog you have covered a very good variety which only shows your maturity. In fact, I wish someday I could meet you and discuss a whole lot of things with you.